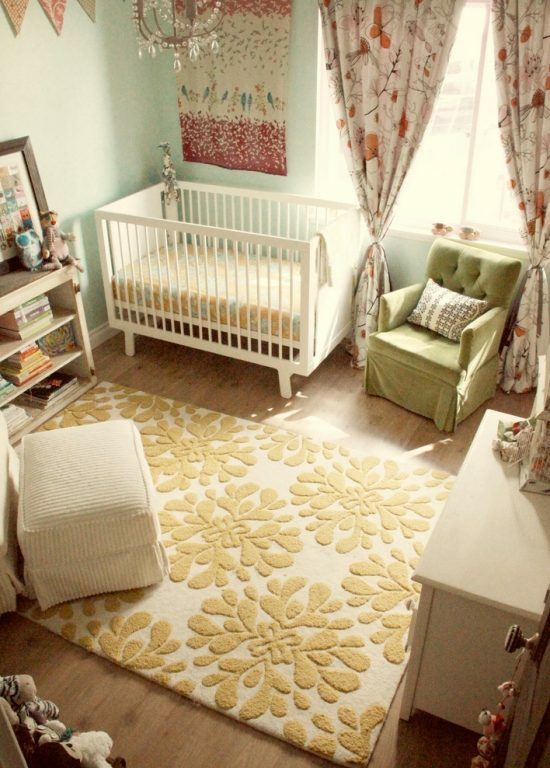 Baby rooms for the future parents is a complicated task. 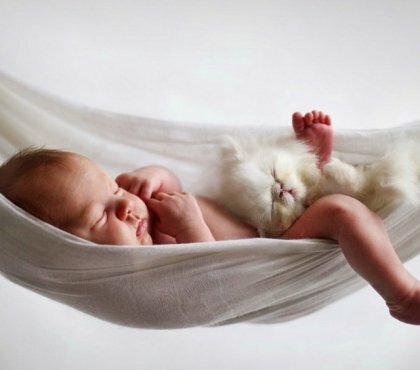 A baby needs a safe and comfortable environment. 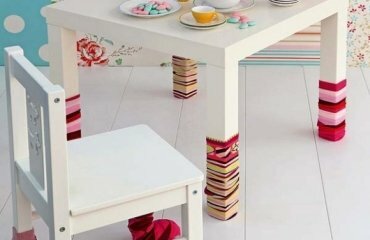 Even if the furnishing takes a lot of effort, you can be sure that it is worth it. 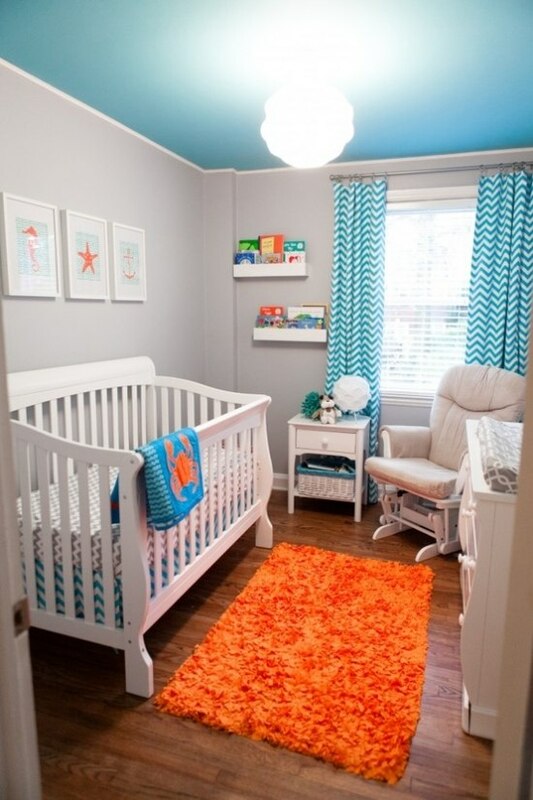 The baby room is the first impression, the child of our colorful world gets. The natural light is very important. Paint the walls in bright colors. White looks clean and is always up to date. If the walls are painted in white, you could put some colorful accents. 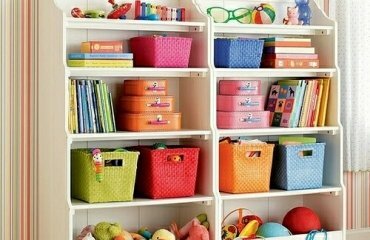 Hang up posters or interesting pictures and arrange fun toys on the shelves. 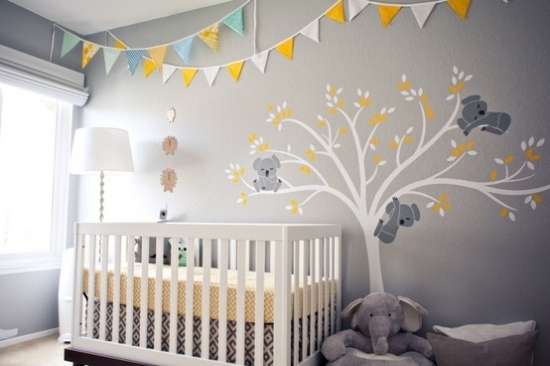 The atmosphere in a baby room should be comfortable, happy and friendly. 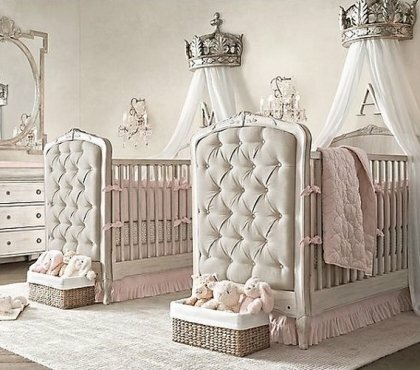 This is the room where your baby would spend a lot of time and where it should have sweet dreams. Remember you childhood and your though about what you lacked at that time in the nursery or most well-liked. 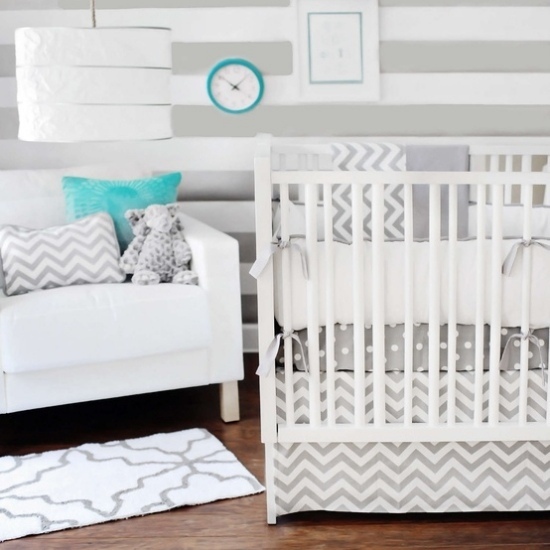 You could add a small personal piece of your childhood in the room of your baby. Subdued lighting is relaxing and soothing. Table lamps or LED recessed lights are very suitable for the baby room. 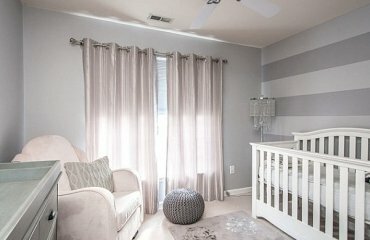 Instead of a door would be good to use curtains, so that the young child does not feel isolated. On the other hand easier access. It is very important to make the space more than convenient, especially if you have a little space. For storage space you could use the space under the bed, integrated cupboards or shelf system, or mount, for example, nets and pockets on the walls. Do not buy many furniture pieces for the room, so enough space to play is available. Floor heating would also be a good idea. The changing table is of great importance. 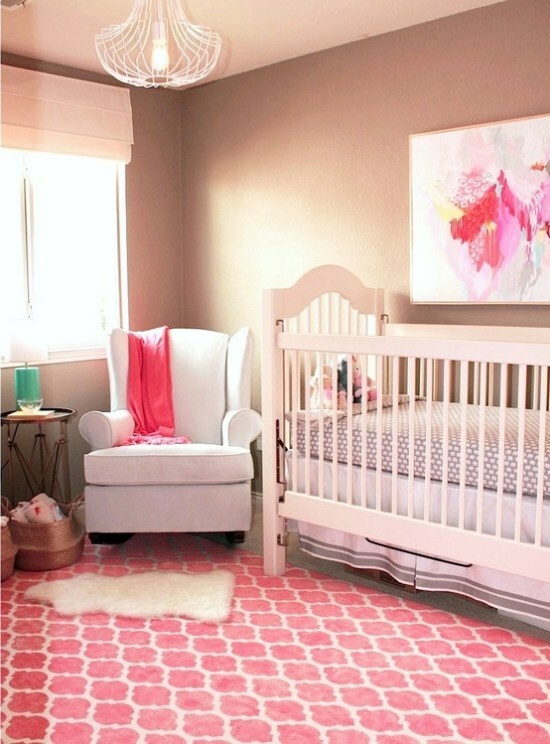 Storage space is important, but the fewer objects in the baby room, the less dust in the air. 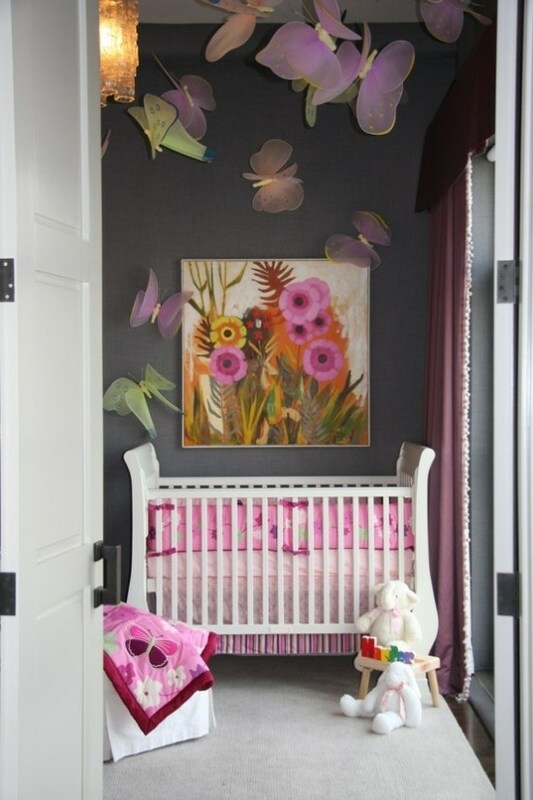 The baby bed is the focal point of the baby room interiors. For smaller children would be better to avoid a blanket because she could slip over the face of the child. Use a sleeping bag. And try to spend as much time as possible together with the children.